As a busy conference organiser (or the person who has been told to organise a conference! ), you know the challenges of finding venues that tick all the boxes. Locating that ideal venue that is both inviting and affordable can take much of your time to research, only to find that the venue doesn’t have all the facilities you need, at the times you need them. This is where Beautiful Schools can help take the pressure off you, and reduce your research time considerably. Independent schools are the undiscovered jewels of the UK conference venue scene – well appointed, with excellent facilities, stunning locations and exclusive use hire as the norm. So, why would your business or clients love to go back to school for their next conference? Here’s nine reasons why schools are superb conference venues, and our pick of the best Beautiful Schools that you can book today. Your conference delegates want to come to a venue that’s away from their normal office or work environment, but they need to be able to get there without the need for excessive travel times. 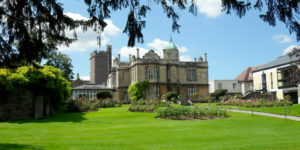 By choosing an independent school, your venue is usually a short drive or taxi ride from train stations, or accessed along quiet roads, so your delegates arrive refreshed and relaxed. Bradfield College is set in 200 acres of beautiful Berkshire countryside, yet is just six miles from Reading, and 3 miles from the nearest M4 junction. London Heathrow is just 29 miles away, and nearby Reading train station is a major hub for trains to the West, North and into central London. The College has a range of function and conference rooms able to accommodate groups from 10 up to 600 delegates. If your perception of school accommodation is based on Harry Potter-esque shared dormitories and midnight feasts, think again. Most private schools have amazing accommodation with individual rooms that are far more comfortable and well-appointed than most mid-price hotels and bland conference centres. 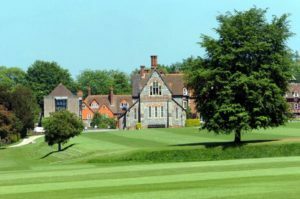 Felsted School near Braintree in Essex is a magnificent historic school that never fails to impress. The school has a multitude of spaces available for conferences and meetings alike, including auditoriums, a theatre, concert hall, and a large dining room, The campus-style setting has various houses for accommodation for two-day or longer conferences, with the added attraction of two swimming pools, fitness centre and 90 acres of open space. Independent schools have longer holiday periods than state schools, enabling them to offer their facilities for conferences at peak times such as Christmas, Easter and midsummer (when other venues are in full wedding season and charging high prices). Exclusive use of a school ensures that the staff are all working on your conference, rather than splitting their attention between multiple bookings and clients (and often, other hotel guests too.) By booking a school for your next conference, you can specify the staffing levels you require to ensure a smooth-running and on-time conference, every time. Schools are pretty much branding-free, so you can add your own branding materials to a conference venue without conflicting signage or signage. Indeed, often the school’s spaces will enhance your branding, such as a discreet display in a fine panelled library, or welcome packs distributed in a beautiful hallway. Kingham Hill School near Oxford has the look and feel of a private country estate and the international atmosphere of a university campus. Whatever your brand style, there will be a space to suit. 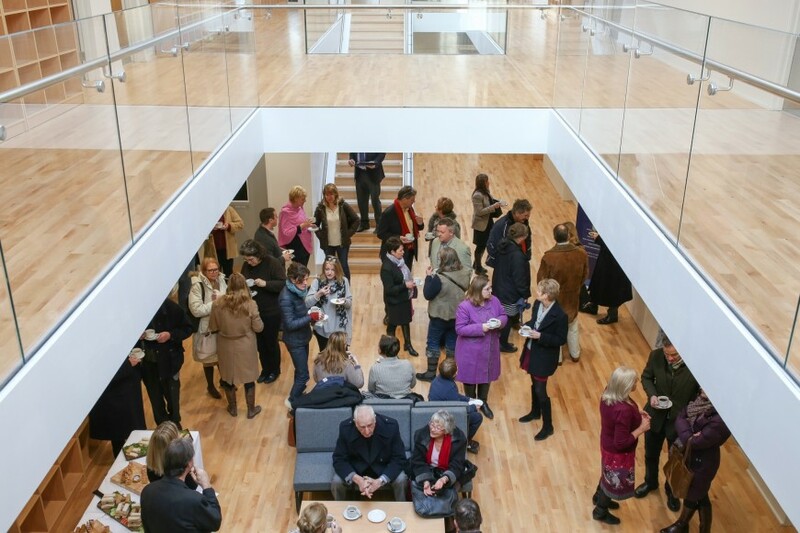 These include the new Veritas building, built in traditional Cotswold stone and housing state of the art classrooms flooded with natural light for breakouts and technical demonstrations. There is nothing more irritating than arriving late to a conference and not being able to park! Independent schools are often set back in their own estates, with plenty of parking available for the entire duration of your hire. The added security of the private grounds ensures that delegates can leave their cars overnight with complete confidence too. For historic schools in former country houses, valet parking adds that extra thrill for delegates, a la Downton Abbey! Many conference venues will insist on a minimum food and beverage spend (known as an F&B minimum). Conference venue schools won’t; you set the budget, and they’ll provide as much catering as you wish using their own in-house kitchens and dining facilities. Equally, if you want to bring in your own providers, that’s usually fine too. South Hampstead High School offers a state of the art environment for any technical or business conference – and superb catering too! The in-house catering team work with you to create a menu of delicious meal options, tailored to your specific requirements. 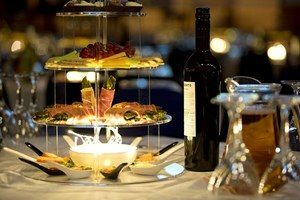 From light lunches to black tie conference five course dinners, you are always in control of your spend, and with exclusive hire options, the kitchen, staff and facilities are all yours too. Most independent schools have AV equipment and technical facilities that would make your usual conference venue manager drool. So, chances are, you won’t have to pay for additional AV, sound and technical sources unless you want something very specific. Moreover, for breakout sessions and workshops, the school classrooms will usually have the latest whiteboard technology and connectivity you require. Let’s be honest here, most conference venues are totally uninspiring, designed to cocoon delegates from fresh air and natural light! How refreshing, then, to offer your conference delegates the chance to walk in woodlands, stroll in manicured grounds, or even let off steam playing their favourite sport on a field. The Royal Russell School may be in Croydon, but your delegates can enjoy 100 acres of natural woodland in between presentations, relax in a multitude of spaces, swim in the inside pool or even tackle the challenging cross-country course or adventure playground! Set on a university-style campus, the Royal Russell offers exceptional spaces for conferences within striking distance of major airports, the M25 and central London.  We’re happy to help with finding the perfect school venue for your international conference, company meeting, seminar, symposium, on-boarding or technical workshops. © 2019 Beautiful Schools, Unit 13/14, Sheeplands Farm, Twyford Road, Berkshire, RG10 8DL All rights reserved.